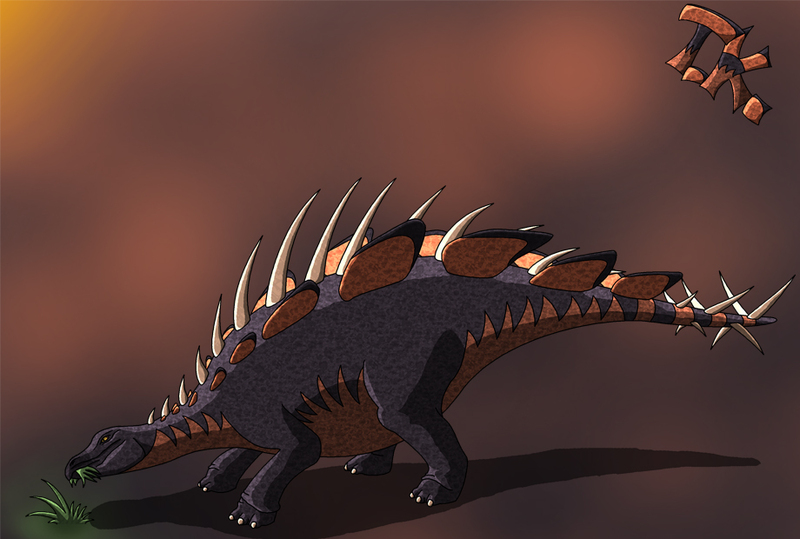 The spinebeast is a large herbivore that inhabits Austranvia, Horagothien, and northern Riviran. These creatures have plate-like bones that protrude from their backs and long spikes on their spines and tails that they use for protection against predators. 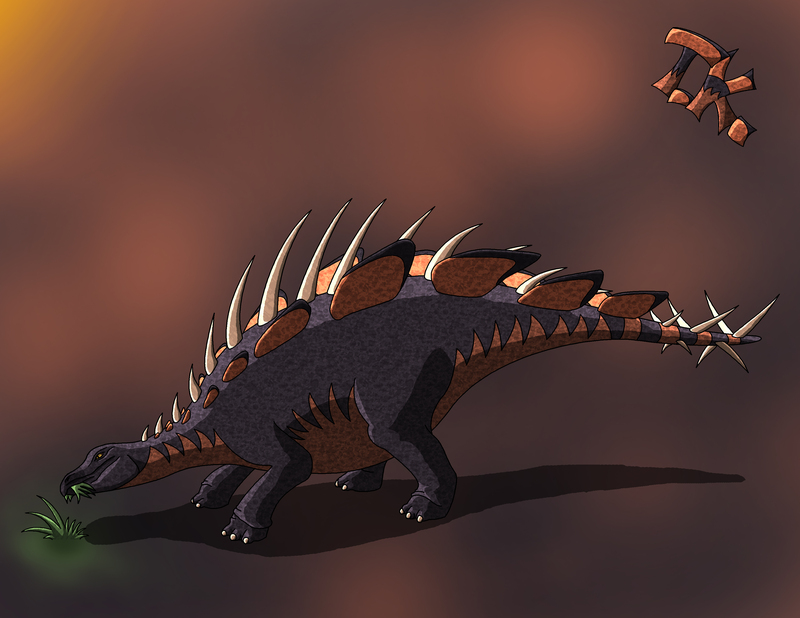 While the spinebeast is mostly hunted for the large amount of meat on its body, its plates are also collected and used in crafting light-weight armour and as materials for building houses and furniture. This practice is most common in Horagothien where wood is a valuable commodity due to the scarcity of large natural forests in the country’s roaming steppes.